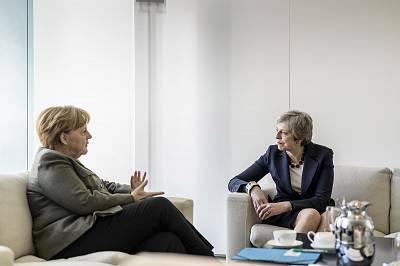 BRUSSELS — European leaders were set to meet in the continent's political capital Wednesday to decide whether to give the United Kingdom an extension on Brexit. Europe has become exasperated by the inability of Britain's politicians to agree a way forward. 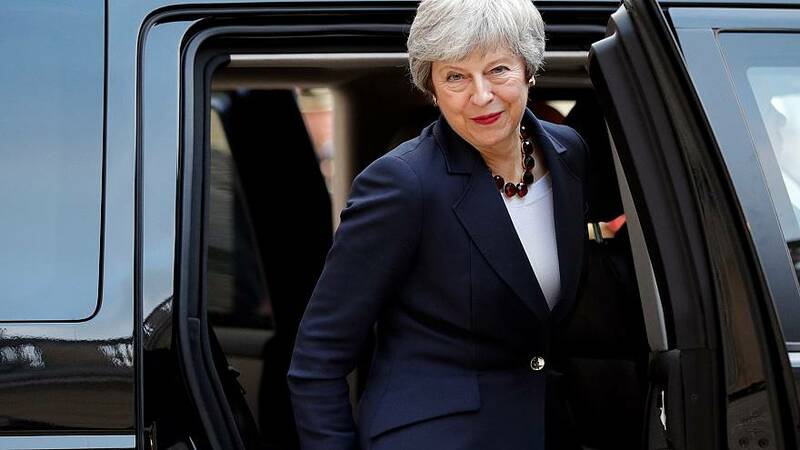 The British public voted in a referendum to leave the European Union in June 2016 but Wednesday's conclave will be the second time British Prime Minister Theresa May has had to plead with European leaders to give the country more time. Although a "no-deal Brexit" scenario does have supporters, most experts warn it could tank the economy, bring food shortages, and risk conflict in Northern Ireland. On Wednesday, May will make her case to the 27 prime ministers and presidents in Brussels' futuristic Europa Building. Then she will be shut out of a high-stakes decision room — where her country's fate will be decided by the leaders of the very countries Britain sought to divorce. This would be a "flextension," a delay that the U.K. can terminate early if and when lawmakers in the British Parliament finally pass a plan. So far, they have been spectacularly unable to agree how to unpick the four decades of laws and regulations that bind them to Europe, three times rejecting May's deal and dismissing every alternative as well. A longer extension is the outcome favored by European Council President Donald Tusk, the host of Wednesday's meeting, who wrote to E.U. leaders Tuesday urging them to offer "a longer extension" of "no longer than one year." He also asked Europe's leaders not to make May and her team feel foolish during the talks. "Neither side should be allowed to feel humiliated at any stage in this difficult process," Tusk wrote. However, a long extension is not a done deal. France "still has concerns" about the idea of giving Britain that much time, one E.U. diplomat said. At a late-night meeting of E.U. ambassadors Wednesday, the French representative was "not positive" about allowing Britain to stay that long, another diplomat added. Jacob Rees-Mogg, a lawmaker with May's ruling Conservatives, tweeted last week that the U.K. "should be as difficult as possible" if it's forced to stay, including vetoing the E.U. budget and opposing an attempts at further integration within the political and economic bloc. In response, a draft document prepared ahead of the summit says that "the extension cannot be allowed to undermine the regular functioning" of the E.U. The document, sent to NBC News by two E.U. diplomats, calls on the U.K. "to act in a constructive and responsible manner throughout this unique period" and asks for its "sincere cooperation." It's not just the U.K. that would be impacted by a "no-deal" Brexit. "It's the usual game — good cop, bad cop," one of the E.U. diplomats said.